June brought warm weather, cool events and new release updates. We’ve enjoyed Amsterdam quite a bit after the stressful week with the Kernel problems on RedHat. We’ve also learned more cool things about NagVis 1.9 and Debian Stretch. Read on below. We’ve had Icinga Camp Amsterdam right before DevOpsDays Amsterdam this week. The Call for Papers for this years Open Source Monitoring Conference (OSMC) is still open. Please share your story on Icinga 2, Icinga Web 2, integrations, notifications, etc. and submit a paper! Icinga 2 v2.7 has been postponed until the Kernel problems are fully resolved in userland. 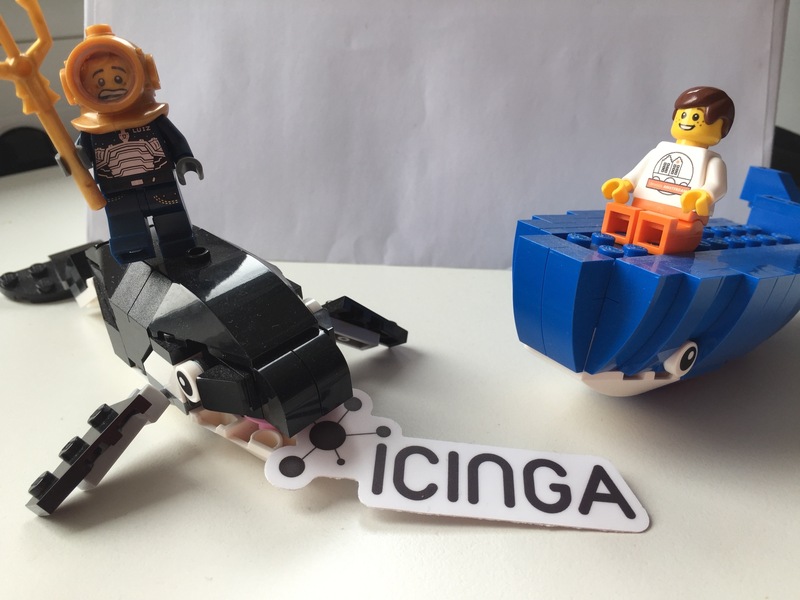 We believe that a new release won’t help if Icinga 2 keeps crashing on your current system. For more details read on. Many of you have reported that Icinga 2 stopped working after the latest RHEL 7 Kernel update on 20.67.2017. We’ve then investigated on the matter the whole day and stopped the v2.7 release train. The crash was reproducible on both RHEL and CentOS, and we digged deeper into the Stack Guard mitigation patches. Actually we started to analyze and diff Kernel patches to get an idea why it worked on Debian but not on RHEL. Turns out that our immediate advisory including workarounds helped a lot – users and customers. We’ve also stepped forward and asked our contacts at RedHat if they know about it already, including a Bugzilla issue which was later opened to the public. We’ve also received Kernel test builds and provided our test feedback on that. Meanwhile new Kernel versions seem to be deployed and RedHat also opened a knowledge base article for the Icinga 2 problem. It seems that not only Icinga 2 was affected, but also JVM and Oracle. Packages for Icinga 2 and Icinga Web 2 are already available on packages.icinga.com. Please ensure to use our official repository for the latest and greatest package versions. We’d also like to know if you want official supported armhf packages (+1 on this comment please). So, apparently Debian 9 removed Nagios Server. Now it's Icigna or gtfo. It somehow slipped through our news feed, but finally it is here – NagVis 1.9 stable. As already seen in May, it supports PostgreSQL as backend for the IDO database next to MySQL. This allows you to easily integrate NagVis with Icinga Web 2 for both database backends. The most important new feature is the NagVis Worldmap which finally brings interactive geographical maps to NagVis. It is based on the awesome Open Street Map project maps. Another long requested option has been implemented to reflect the permissions on host and service objects configured in your monitoring core within NagVis. You can now use the option only_permitted_objects to make NagVis only show the user’s objects to your users. The general styling of NagVis has been cleaned up. Some things like font sizes, colors etc. are more consistent now. The text size is larger in most places. The header dropdown menus are now toggled by clicks instead of mouse over. Added tabbed navigation to configuration dialogs to give the options more structure. Most graphics and rendered elements are now ready for retina displays. Editing map objects does not trigger a map reload anymore. The lines within NagVis have been reworked. The hover and context actions are now available on the whole line. The former “action area” in the middle of the line has been removed. Line borders were missing in last versions and have been reimplemented. Another interesting feature will be the new pgsql backend to connect NagVis with Icinga. When you are using the Icinga core it is recommended to use either this one or the ndomy backend instead of the livestatus backend. What happens if monit dies? you get an icinga alert.